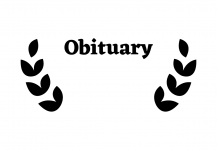 Josephine Quintana Navarrette, 86 went home to be with the Lord, Sunday, December 23, 2018. Josephine was born November 10, 1932 in Van Horn to Francisco and Petra (Dominguez) Quintana. They both preceded her in death along with her son David Ordonez, brothers Donicio, Israel Quintana, and her sister Elodia who passed away after her. She was a devout Christian, loving and devoted Mother who came from humble beginnings. Josephine overcame numerous obstacles to obtain her nursing degree and was always determined to provide for her family’s needs no matter the difficulty. She also made sure her children grew up knowing the love of Jesus Christ and was loved by her family and colleagues. Left to cherish her memory are her daughters Melinda (Rey) Enriquez, Lucinda Ordonez, Hilda Ordonez, Lisa (David) Hogan, Susanna Ordonez, sisters Lucia, Delores, Carrie; brother Ezekiel, 16 grandchildren, 27 great grandchildren, and 3 great great grand children.